My is Brittney Henderson, from EDM 310!!!!!!!! I love the concept of this exercise that you shared on your blog!!! 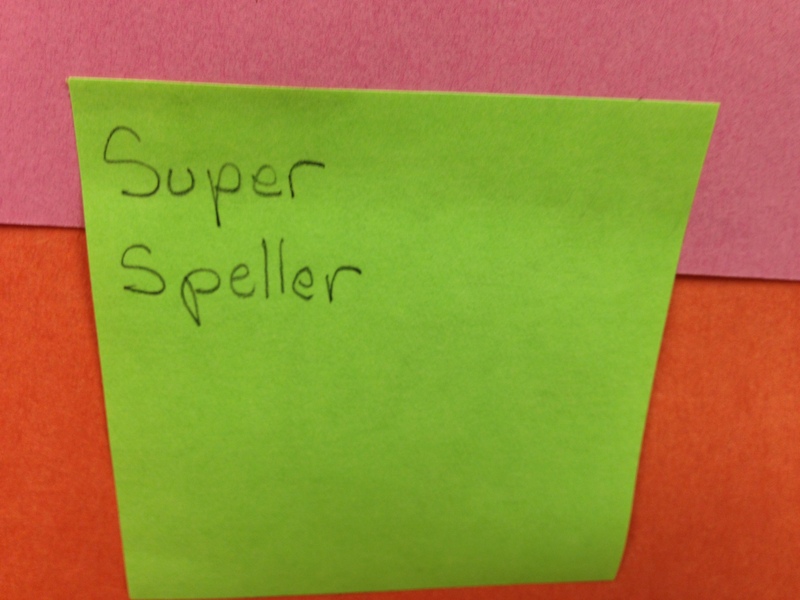 This exercise motivates your students to tackle whatever superpower that wrote down. 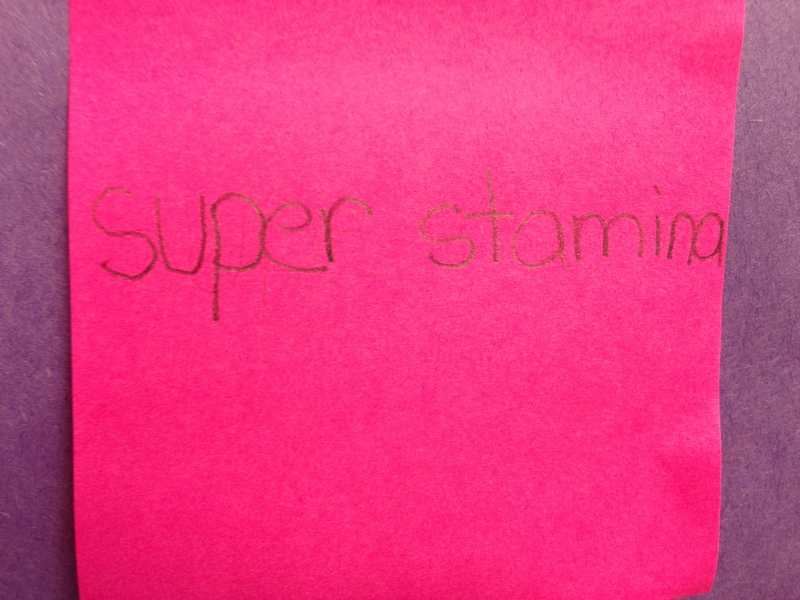 I can only imagine the superpowers your student wrote down. I believe this is a fun exercise to get to know a little about your students!!!! I look forward to reading more of your classroom activities!!!! My name is Kellie Cuhaj and I am an education major at the University of South Alabama. I am currentley taking EDM310 which is a course about using technology in the classroom. I really liked the idea in you used to begin the school year. I think it shows us that the students are people too. I think sometimes we forget they have fears because they are young and we just think they are carefree. 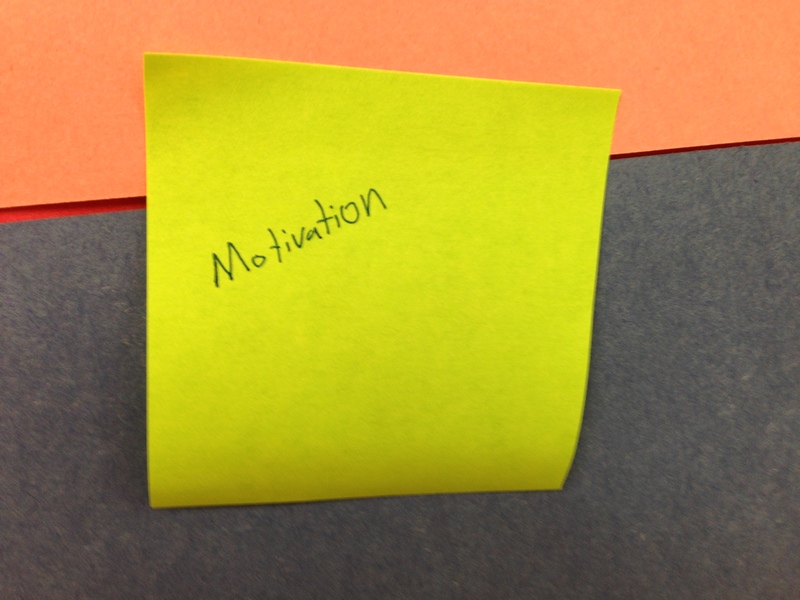 However, this exercise made me think about the pressures they face everyday. My name is Lauren Lee and I am an elementary education major at the University of South Alabama. I am currently in EDM 310 and I have the privilege of reading and commenting your post. 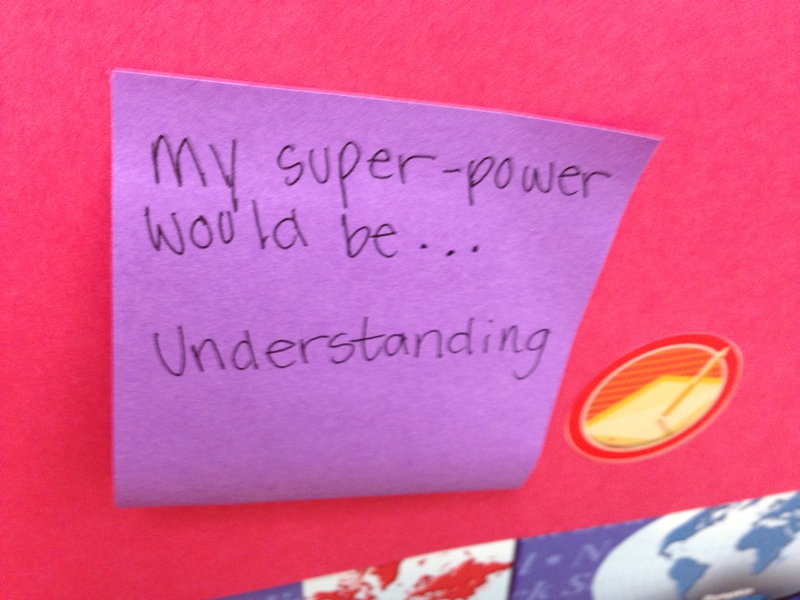 This was a great post and I loved the idea of having the students make superpowers. 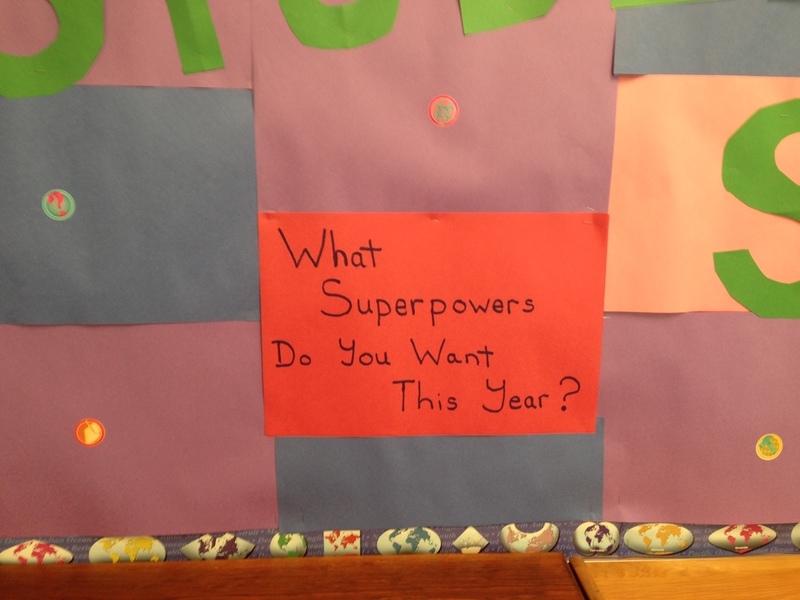 I believe that is great because it gives you an idea of what the students are wanting to conquer throughout the year and you can help them figure out different ways to do so. I will have to remember this when I start teaching. Thanks for sharing! My name is Edna Montgomery, I am a student in EDM310 at the University of South Alabama In Mobile, Alabama. 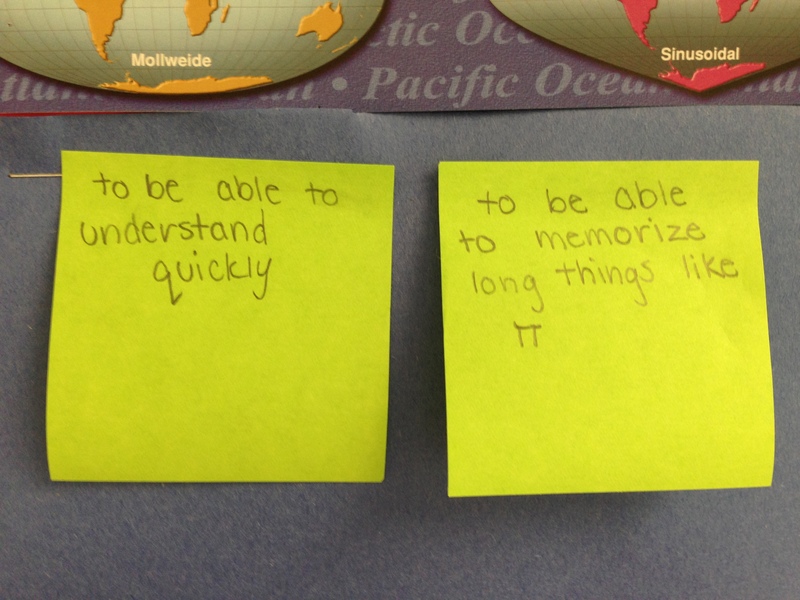 This blog is one that I will keep in mind when I enter the classroom. 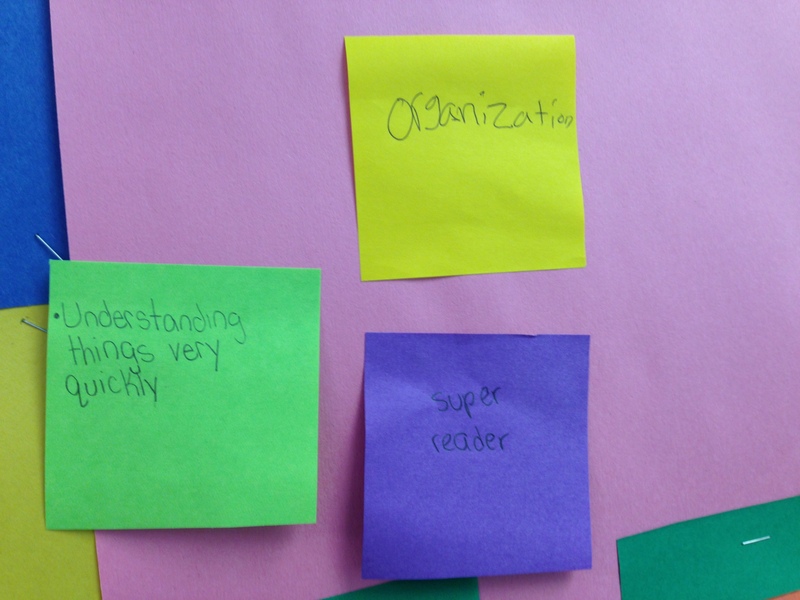 It gives the teacher a method of getting a little information about the student, that can be very beneficial. Teachers helping teacher is how we help our students. Thank you. My name is Kelsey Crawford, I am an EDM310 student at the University of South Alabama. 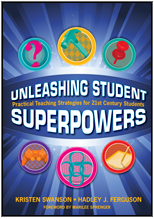 I love the idea of “Classroom Superpowers!” This is a great first-week ice breaker, while it also gives you the opportunity to see what the students fear about your class. The anonymity of this activity lets the children become more involved without the concern of being judged. I never would have thought of this idea, so I am very grateful that you have shared it! I hope to one day incorporate this into my “Tackling the First Week” lesson plans! Thank you! My name is Courtney Browning and I’m a student in EDM 310 at the University of South Alabama. This post is so neat and I hope to be as creative as you when it comes to things like this! I love how it’s done anonymously because that lowers the chance of one student being bullied by another. Instead, they’re all focusing on strengthening their weaknesses and will hopefully conquer whatever their biggest challenge is! The responses you posted are just a reminder that students (no matter who they may be), are all dealing with some sort of internal struggle. 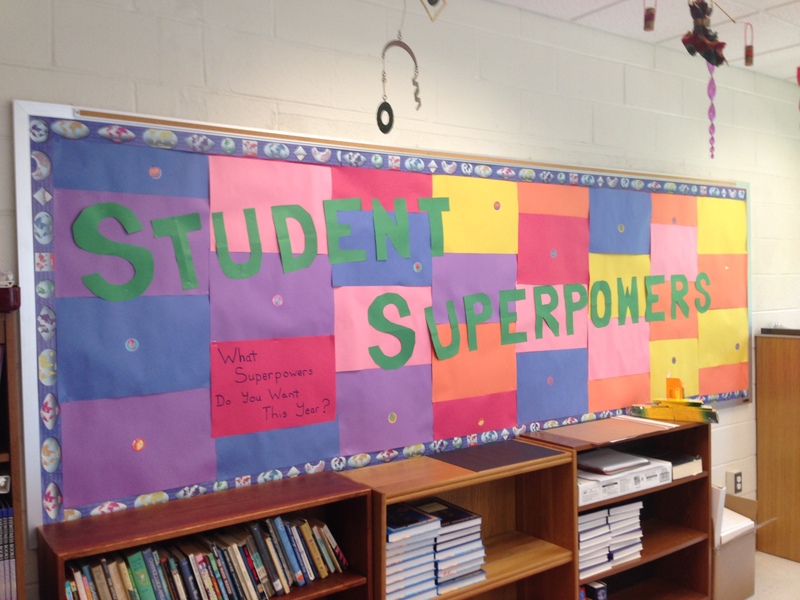 The idea of superpowers among students in the classroom is really neat! I love it! Hey Mr. Hadley! My name is Tyeshay (Ty-e-shay) Biggs from EDM 310. I enjoyed reading this post. I think that your activity was a great idea. I will make note of it because I will use it with my future students. I think that it is a great “ice breaker” activity. That way I will learn about my students and they can learn about each other. Thank you for sharing! I enjoyed reading your post! 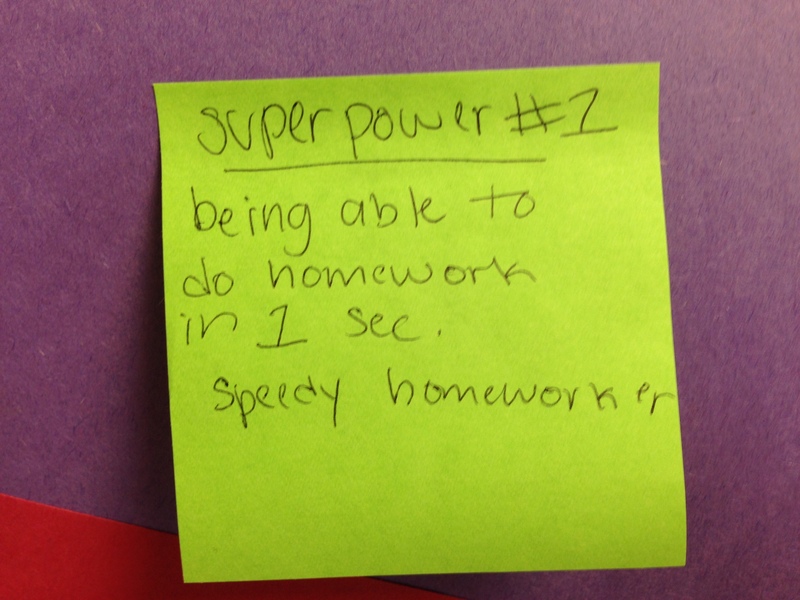 I love your idea of letting the students chose a superpower. That seems like a great way to start the year off with your students! I would definitely like to use this idea in my future classroom.